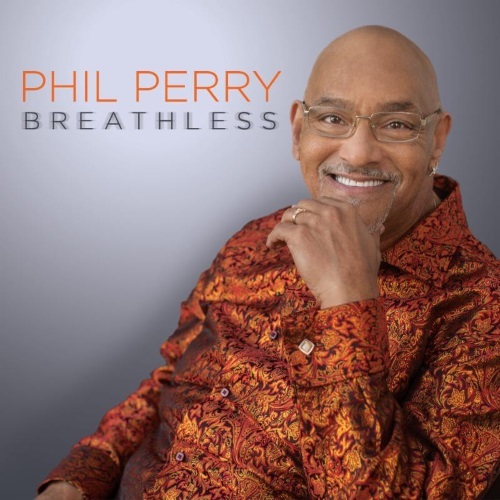 Born and raised in East St. Louis, Phil Perry has spent most of his career as one of the most sought-after backing vocalists in the music business. His bright, multi-octave range has played a supporting role on dozens of albums by such acts as Anita Baker, Boz Scaggs, Rod Stewart, Peabo Bryson and George Duke. But he has also distinguished himself through a series of strong solo albums that have highlighted both his ability to interpret classic soul songs as well as his own songwriting skills. Perry first came to the attention of Soul Music fans as the lead singer of the Montclairs, whose "Begging's Hard to Do" was a moderate hit in 1972. In 1985 he married soul/jazz singer Lillian "Tang" Tynes, and began a marriage partnership that has lasted ever since. After a brief stint as part of the singing duo Perry and Sanlin, Perry went solo in 1991 with The Heart of a Man, an album most notable for Perry's sheer guts (or some thought audacity) in releasing as a single a remake of Aretha Franklin's "Call Me." It was a real coming out for Perry, as he ripped through the song in bold fashion, even surpassing Aretha's revered original version. His follow-up album, 1994's Pure Pleasure, was perhaps his best, and included fantastic remakes of "After the Love is Gone" and "If Only You Knew" and a seven minute cover of the Spinners' "Love Don't Love Nobody" that was sheer magic. During the 90s, Perry also received increased coverage on Smooth Jazz radio through his guest work on albums by Lee Ritenour, the Rippingtons and others, and inspired Windham Hill subsidiary Private Music to sign Perry, along with Barry White and Peabo Bryson, in an attempt to become the major label in the confluence of the Urban Adult Contemporary and Smooth Jazz formats. His Private Music debut, One Heart One Love, was aimed straight at the Smooth Jazz market and hit the top five on the back of its killer title track, despite being perhaps his weakest album. His follow-up album, My Book of Love, received less attention, but was a far stronger album. Book was also the album on which Perry began to take a more active role in songwriting and production, putting his personal imprint beyond the vocal performance. This led to his lead songwriting role on 2001's Magic, an excellent album on Peak Records that showed Perry in complete control over his music. In 2005, Perry signed with New Jersey-based Shanachie Records and issued two albums of classic soul covers. Each disc was well received by Perry's audience, with the second disc, A Mighty Love, earning for him the 2007 SoulTracks Readers' Choice Award for Male Vocalist of the Year. He parlayed the success of those two albums into a new album of original material, Ready for Love, released in August 2008. Perry recorded the disc with veteran producer Chris "Big Dog" Davis, who helmed the previous two Shanachie Releases. It was an excellent return to form that again revealed Perry's often underrated ability as a songwriter. In 2009, Perry teamed up with another soul veteran, Melba Moore, and released The Gift of Love, an album of new songs and covers that was well received by both his audience and by critics. It won another SoulTracks Readers' Choice Award for best performance by a duo or group. 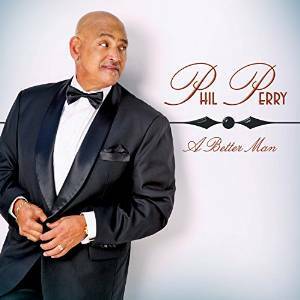 If ever an artist's catalog has screamed for a solid compilation - both from his solo albums and from his guest work - it is Phil Perry. However, this seems unlikely given the number of labels and artists that would be involved. And while the material and production on his albums have, at times, been uneven, his marvelous voice has made every disc a keeper, and should keep him in demand as a vocalist for years to come.